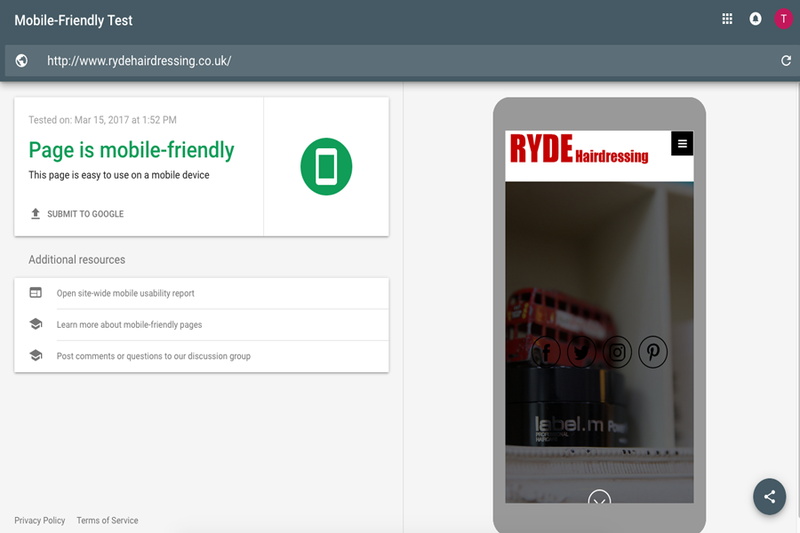 This week's website of the week goes to Ryde Hairdressing. 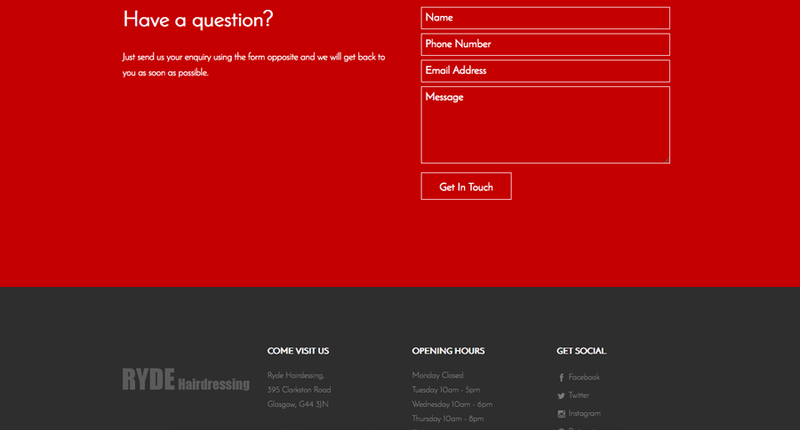 Opened in 2012, Ryde Hairdressing is a warm and inviting salon based in the Southside of Glasgow. The website features a neutral colour scheme paired with a vibrant red accent colour. 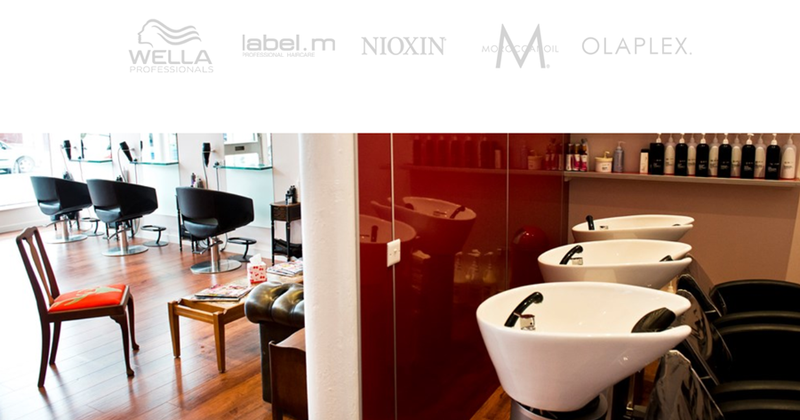 The interior of the salon uses red also meaning that the branding is consistent throughout. The website features a form that people can fill out, links to social media icons and parallax panels that scroll over when you scroll down the screen. 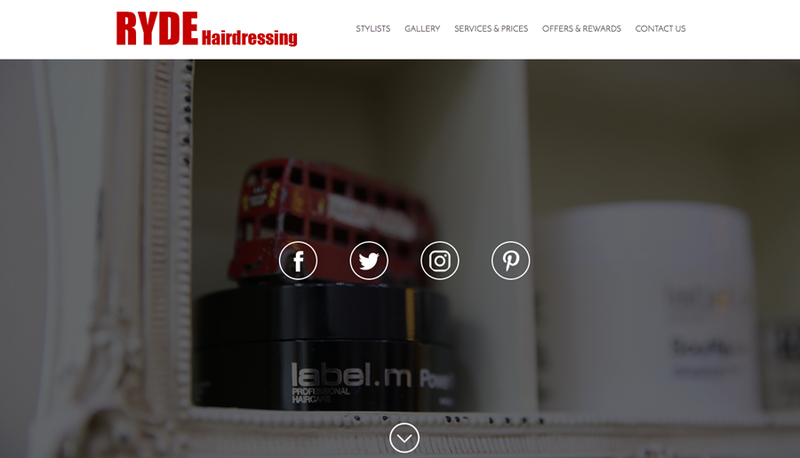 The website features the clients own imagery which sets the scene for the salon. The images of the products are great because people are familiar with the brands being used. Did you know... we only deal with bespoke designs meaning each design is built to your requirement. Sound good? Get in touch with us today.